What is Social Proof & Why Is It Crucial For Your Blog's Success? Have you heard of the phrase “Monkey-see, Monkey-do”? It’s about how one monkey mimics the act of another monkey. Humans, having evolved from apes, also take cues from other fellow human beings when making decisions. Social proof has been used for a long-time by advertisers to convince a prospective buyer that they should buy this product because everybody else is also buying it. A very simple example of social proof is shown in this video, where a person in the lift conforms to what everybody else is doing, even though they are all facing the wrong direction. Now let’s look at why “social proof” is so important. Why do bloggers need social proof? It creates authenticity around their blog in a single glance. It helps to build and strengthen a brand. The more social proof, the more people will be interested in buying a promoted product. It’s easier to up-sell an e-book, a course, or a product. Content will look more shareable if a lot of people are already sharing it. Even though your blog may have great, original content, there are hundreds of blogs just like yours. What will differentiate yours from theirs is the social proof attached to your blog. Social proof makes you an authority simply because of the following you’ve built. When you are associated with a bigger brand than yourself, the power of that brand rubs off on you. Brands are made up of a large number of people backing and supporting a company. When you are seen with a company of such a large stature, your value automatically increases. “Virality” happens when a lot of people share your content. Have you noticed on social media that the more likes something has, the more likely you are to press the “like” button? That is social proof. Now here comes the good part! We have built up an amazing list of social proof ideas for bloggers. Go through this whole article and start implementing these strategies on your blog. 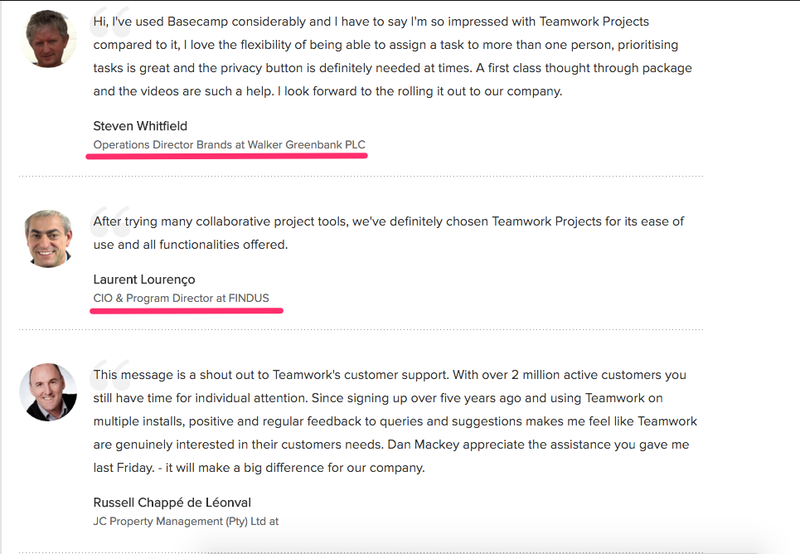 The best examples of social proof are “testimonials” from other users. 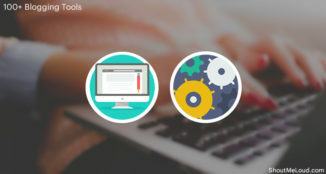 Testimonials are meant to get the prospective user to connect with the story of the testimonial writer. In most cases, the testimonial writer talks about their problems or issues they are facing and how after using the product, their situation improved. You can see here that the testimonials have a clear intent. The image of the person is used to connect with a specific audience. If you notice, all of these testimonials are from middle-aged men who have decision-making power. Their job titles also help in lending credibility to their claim, hence connecting with the prospective user from a place of authority. It’s hard to discount testimonials when somebody in a similar demographic and situation tells you that the product is great. -How can bloggers use testimonials for social proof? A lot of bloggers sell their products and later up-sell premium services to their readers. These products vary from e-books to online courses to interactive software. 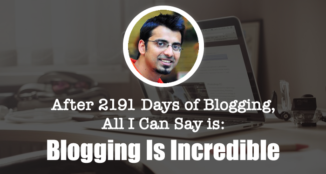 If you have been blogging consistently for a while, then you may already have a few fans. Some of these fans might have commented on an article or written you an e-mail. You can take screenshots of these and show them as social proof to promote your products. You could even take positive Tweets aimed at you and make a collage. 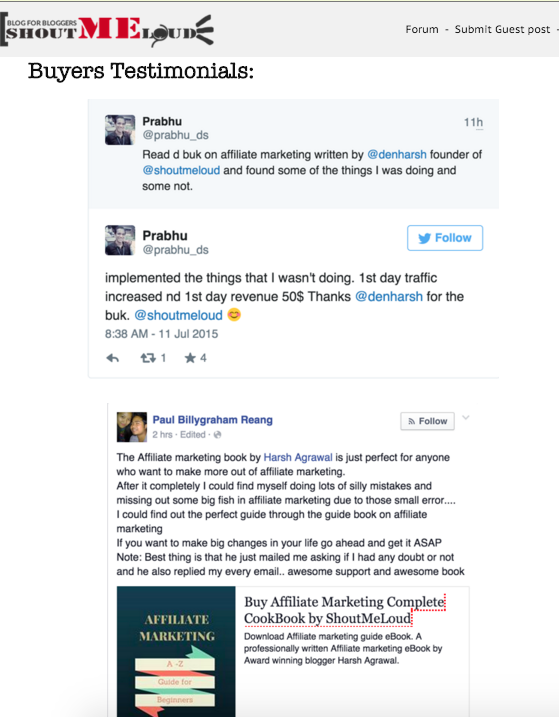 A simple example is from our very own Affiliate Marketing e-book that has customer testimonials on the product page. Social proof isn’t restricted to text. You can ask your readers to take videos and send them to you as a testimonial. You can also embed their tweets on your page so your readers know that your testimonials are coming from a real person. Exponential growth can be reached when experts or celebrities share your content. Celebrities are great for building social proof because of the number of people who follow them. If you can associate yourself with a celebrity, your value will increase substantially. 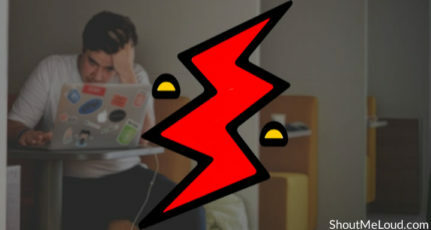 Most bloggers think that they’re not lucky enough to have this happen, or they feel that they aren’t friends with experts who can vouch for him or her. Well, the best way to get celebrity testimonials is to be among them. Share a conversation with them, try to help them out as much as possible, and be one of their ardent fans. A celebrity (or expert) testimonial immediately adds extra value to the work you do. Even if you take a picture with a celebrity, the amount of ‘likes’ you get on Facebook will be much, much higher than usual. Tom Morkes is a blogger who attended a conference where Seth Godin was speaking. Tom took notes of Seth Godin’s speech and turned those notes into a book. On his book’s sales page, he put an image of himself with Seth Godin. This was such a boost in validation because Seth Godin is followed by a lot of people and is considered an “influencer”. By taking notes and having a picture of himself with Seth Godin, a blogger created a product out of nowhere and managed to sell thousands of copies. -How can bloggers get celebrity or expert testimonials for social proof? Be around an expert. Try to attend the expert’s courses and try to get their attention (without being crazy). Be a good student and interact with them. They are more likely to interact with you when you’ve joined their course and once you have your blog ready. Then you’ll be ready to post an image of the expert vouching for you and your blog. As bloggers, many of you might have heard the phrase, “The money is in the list”. 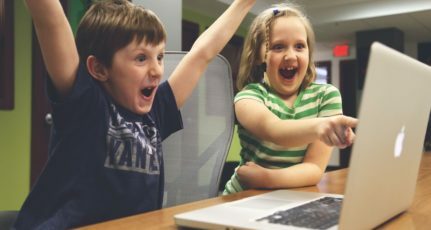 Building a subscriber base is not easy, but after you have reached a certain point, you could use this as a social proof technique to get more people to join. People often have the ‘Fear of Missing Out’ (FOMO) syndrome. If they see a huge following of people who have subscribed to your blog already, they are more inclined to also subscribe to your blog. There is a lot of social validation here with the Facebook fans, the Twitter fans, and all of the other social media fans mentioned in one place. This technique is a great way to show the world that your blog is popular. If you do not have a big subscriber base, don’t worry. All you have to do is test out different copies to make your blog sound more appealing. -How can a blogger use “Number of Subscribers” for social proof? 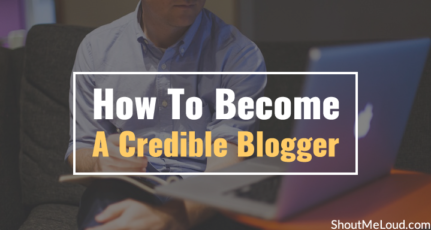 If your subscriber base is low, you can mention the exclusivity of your blog. If your subscriber base is high, you can show the depth and range of your blog. A lot of us bloggers are in the affiliate marketing space. We review products that we hope the user sees value in and hence, makes a purchase through our website (or affiliate link). Making a sale is not always easy, but with the right social proof strategies, more sales will be made. 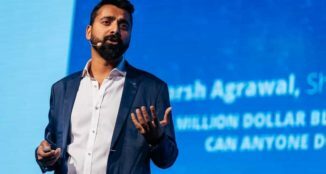 Have you ever attended a seminar where the speaker talks to you about their problems and you connect with everything he or she says? This is what case studies are about. Case studies are an effective way to talk about how a product has benefited another user who is very similar to the reader. These are just like testimonials but more in-depth and given from a primary authority source. This allows for the freedom to cover more problem areas that the reader can relate to. 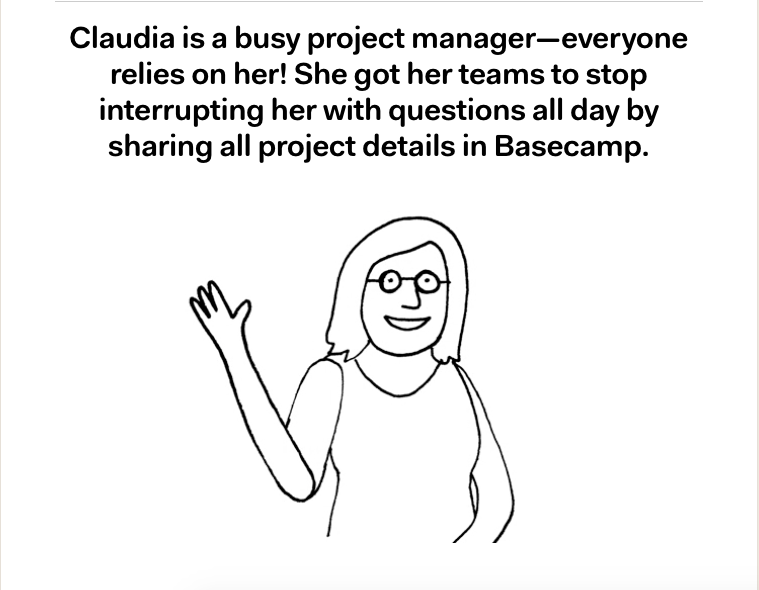 In the first image, they immediately talk about the problem of how Claudia is always being interrupted by her team. That creates an instantly relate-able problem which uses their services as the solution. 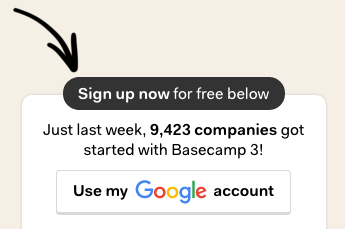 In this way, Basecamp tries to connect with every kind of user. When a reader sees a person similar to them struggling with the same problem, but that person has found a solution, the reader is given confidence that the same thing can happen to them as well. -How can bloggers use case studies? 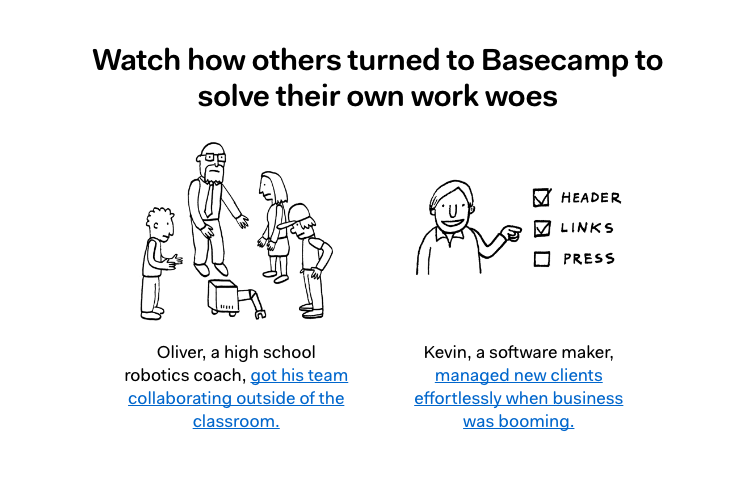 Craft a story around one of your user’s testimonials. Explore both the problem and the solution in depth and detail. Apart from the case study example, bloggers can also use another simple strategy. In your affiliate page, you can mention the number of people who bought the product because of your review, and when it was last bought. If it is a high-selling product and there are daily sales, it will give the reader an extra push because so many people are buying it. People always want what other people already have. Big brands are always using social proof because these brands are known and respected by millions of people. The same goes for publishing houses. When any big publishing house covers your article, you can now wear it as a badge of honor. A very good example of this is from James Altucher. James Altucher is one of the top bloggers and speakers in the startup space. He gets thousands of hits on his website on a daily basis. He is a mini-celebrity himself. But even though he’s already known, he mentions the brands that have covered him. This is because the brands are bigger than he is and they have an even bigger fan following. If an interested reader sees that he’s written for ‘The Huffington Post’, then that reader knows that James’s work is seen by millions of people all over the world. – How can bloggers use big publishing houses for social proof? As a blogger, you know that it’s good for you to get backlinks from authority websites that have a higher page rank than yours. It’s also good for making your brand bigger. Make a list of high authority websites. Prepare unique, valuable, and original content. If you’re accepted by any blog more well-known than yours, immediately put the logo of that blog in your blog (in a section similar to how James Altucher has done it). Another technique is through Quora. It’s a harder technique, but you will get better distribution. Many top Quora contributors have their answers covered on Hufftington Post, Entrepreneur.com, and other top publications. This isn’t a surefire option, but on platforms like Quora, good content goes viral and the odds of getting picked up by top blogs are high. There are a lot of awards given out to bloggers in multiple cities all over the world. If your hard work gets you an award, display it on your blog. The good thing about blogging awards is that they are niche-specific, so you compete with a sub-set of blogs in your niche (i.e. less competition). Here’s an example from Matthew Woodward’s blog where he displays all the awards he’s won in the header of his website. Because of this, he’s promoting his website as an “Award Winning Internet Marketing Blog”. Awards are great for displaying social proof. They show people that your great work has been credited by industry stalwarts. Another similar method is showing a list of top conferences you’ve spoken at. This is another great way to show that you have value to other people by having been invited as a speaker at an event. Your readers will value you more when they see you speaking in front of large crowds; this is social validation for them that you are an expert and an authority. 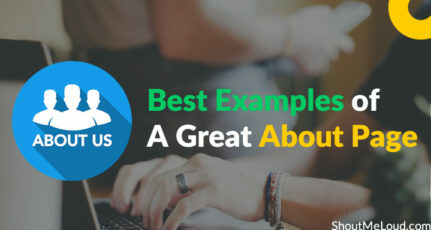 -How can bloggers use awards to display social proof? There is no secret sauce to getting awards. The best advice would be to consistently put out high-quality, original content. Another good starting point would be to build a rapport with the blogs that give out these awards. Give interviews or do podcasts with the founders of these blogs and make them aware of your presence and your blog. If you work hard, put out great work, and help a lot of people (mixing in good relationships with bloggers who give out awards), your odds of getting an award will increase. If you follow these social proof strategies, you will be inundated with followers and fans that want what other people have gotten from you! Social proof is a must in today’s blogging world. These days, every online interaction seals the fate of a company and its brand. If you have the right cues in your blog that suggest you are followed a lot, have good quality content, and can show that a lot of people have benefited from your work, then you stand a chance to build a brand which is bigger than yourself. And that’s the ultimate social proof. What can I say more? Thanks Kishen for sharing very informative article to us. Hello, this is the the 3rd time I comment on a blog. I must say thanks to Shoutmeloud. Due to this blog I started my walk online, in the quest to learn wordpress. I learned, I already have some videos on youtube on the subject. It has been for me a great reference abour blogging. 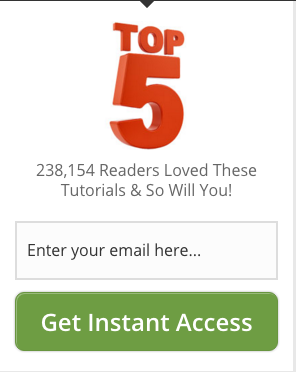 I would like to learn how to create captivating and attractive articles like yours. Thank you all for the excellent information shared. I’m Portuguese, and my blog is in my mother tongue. Thanks for writing this great article. I’ve been using some of these techniques on by blog. But I didn’t know the phrase “Social Proof”. Thanks for sharing. Social Proof is necessary for websites. But it is not an easy one. It needs a lot of time to build the audience to create it. 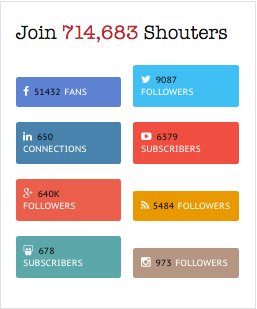 I am curious about the number of followers of shoutmeloud on google+ is 10 times then Facebook, anything special optimized. Any tricks? Nope..We were featured by Google.